Ceibass Venture Partners – What Are Your Commitments for 2018? What Are Your Commitments for 2018? The Enterprise Value Specialists at Ceibass work with business owners in the lawn & landscape industry to enhance the value of their businesses and help them transfer ownership of those businesses. “Ask yourself what are you and your management team committed to produce for the year? This will give you direction to know what you and your team will be responsible for during the year, (and what you’re not responsible for) so that you can hold yourself accountable for your performance. This is a valuable skill that your management team will need to develop – the ability to look into the future, make commitments, set goals, identify interim goals and then deliver by the end of the year,” added Tom. Generally, commitments revolve around employees and staff, systems and procedures, equipment and maintenance, and retaining and getting new customers. 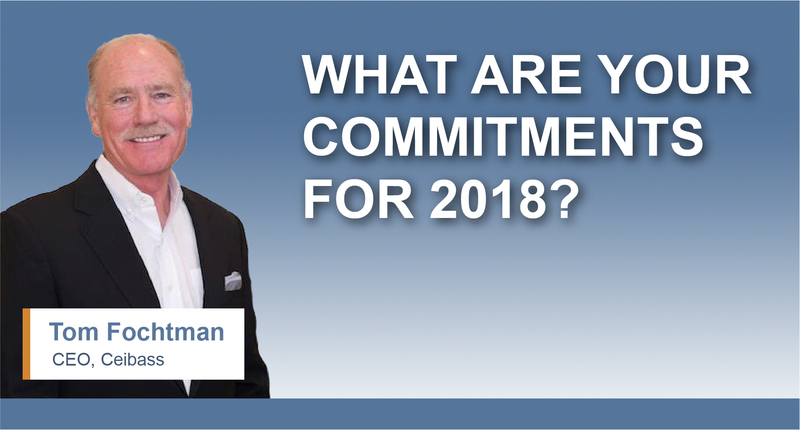 For more insight into the process of identifying commitments and setting year-end goals and interim goals give Tom Fochtman a call today: 303-974-7577. Get to know Ceibass and catch a bigger future.